It should be remembered that in earlier censuses data was given verbally to an official. Regional accents sometimes lead to the data being inaccurate and as many of the people will have been illiterate they were unable to check what the official was writing down for their household. Finally of course, people have never liked sharing personal information with government officials and so may not always have been completely honest. 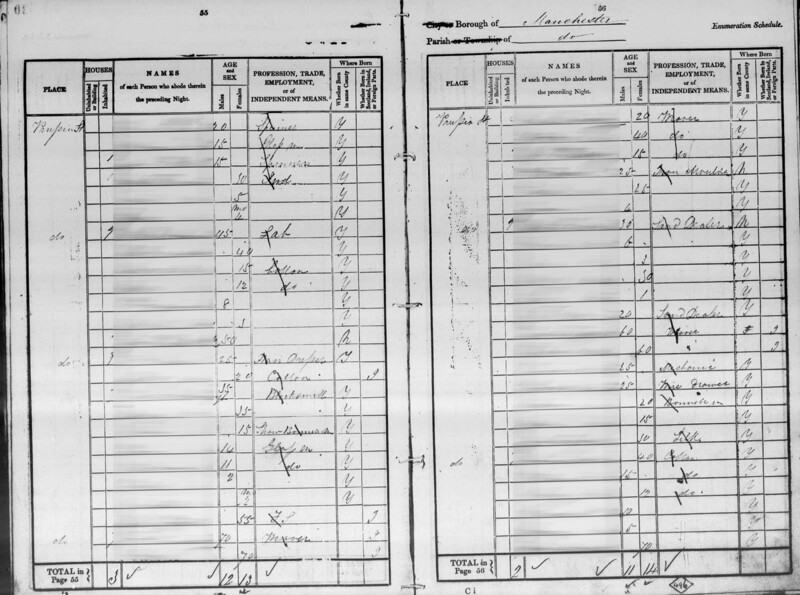 The 1841 census holds less information than those that followed. It doesn’t tell you the relationships between occupants, the age is often rounded up or down to the nearest 5 years and the place of birth is limited to whether it’s the same county as the census town. 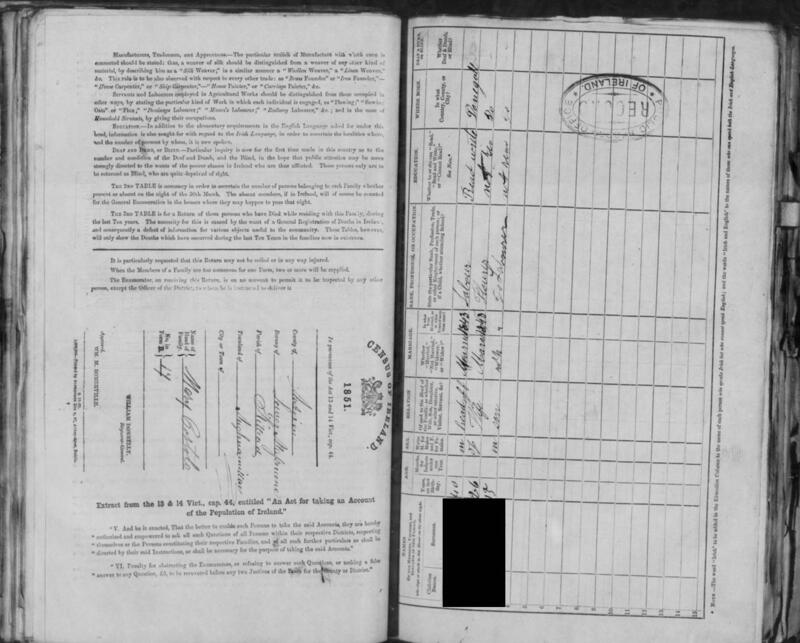 1851 and onwards added the relationship to the head of the household, place of birth and some disability information. 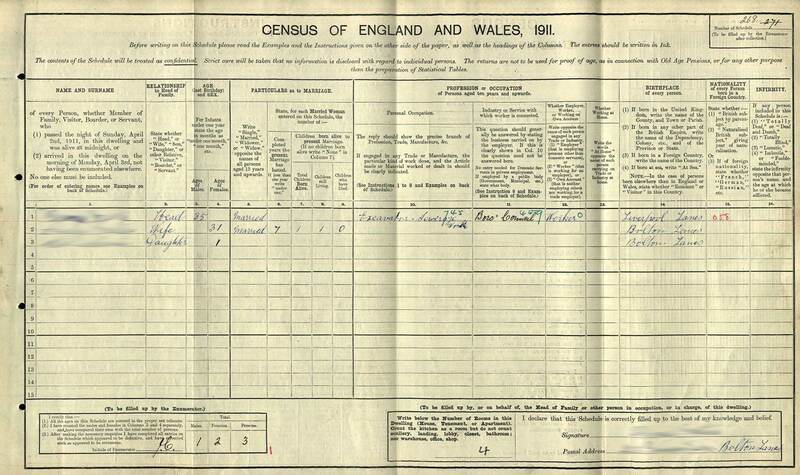 The 1911 census was the first to have a separate form for each household. 1841 – sometimes only the the town, or area of the town is used. 1841 onwards includes the surname and at least one forename (although this could be a pet name rather than the given name), often with middle names or initials. 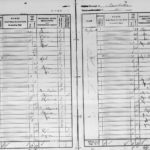 Names, particularly surnames, were sometimes misread by the enumerator who copied the information from the form to the census book (and there is always the chance they were misspelled on the original form as well). They can also have been mistranscribed by the person or computer digitising them now. 1851 onwards – How the individual is related to the head of the household. 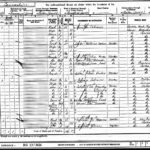 1841 onwards – ages on the census are often out by a couple of years and are only as accurate as the person giving the information was prepared to divulge (or knew). They can also be misread by the enumerator at the time, or by the person or computer digitising them now. 1921 onwards contain the date of birth. 1851 onwards – whether single, married or widowed. 1911 – includes information on the number of children born to a couple, how many were born alive, how many are still alive and how many have died. 1841 onwards – the profession of each person is usually included, or whether children are at school. 1851 onwards – changed to “Where born”, generally includes a town and county but sometimes only a county is specified. Answers to this section frequently contains mistakes and can differ from census to census. 1911 – the nationality of those persons and if naturalised British the age that was granted. 1911 – “If any person included in this schedule is:- !. Totally deaf or deaf and dumb; 2. Blind; 3. Lunatic; 4. 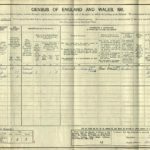 Imbecile or feeble-minded” On the 1911 census, instead of just a tick in a box, it was required that the “infirmity” was listed by their name and the age at which is started. Covers England and Wales and contains names, addresses, dates of birth, occupations and marital status. 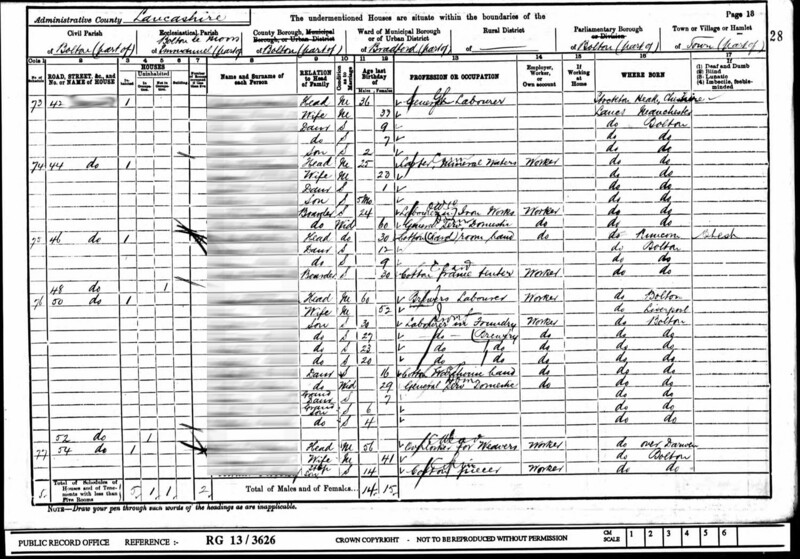 Useful to genealogists as the 1931 census was destroyed in a fire in December 1942, and there was no census taken in 1941 due to World War II. I’ve written a separate entry exploring the 1939 Register in more detail. Name; Address (including previous address if moved since the last register was taken); Which election they can vote in and why (this depends on the years of the roll, the election type and the gender of the person). Abbreviations are used for these, you can see a list on the Electoral Registers website. You might also find that the town or village your ancestors lived in conducted their own census at some point. Whilst I was looking for information about Amlwch on Anglesey in North Wales, I found that in 1801 they had conducted a basic census that included the names, addresses and some occupations of the adults in the town. 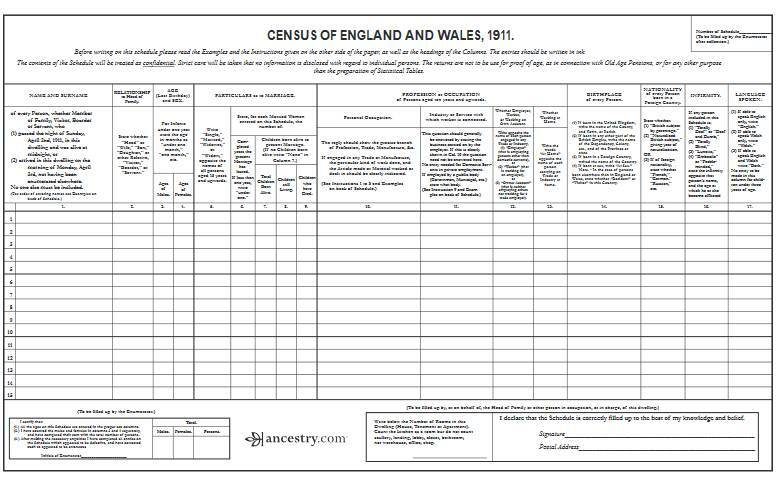 It may be worth searching online or in parish or library records to see whether the areas you are searching have ever carried out a local census. Until independence, the census in Ireland was taken on the same dates as the UK census, with the last taken as part of the UK being the 1911 census. 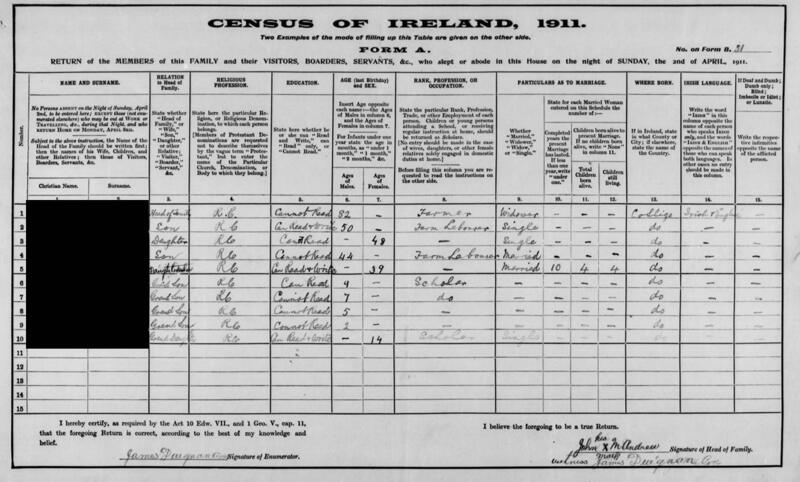 There was no census taken in Ireland in 1921 because of the Civil War. 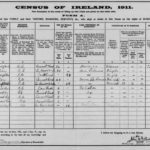 The first Irish census was taken on 18 April 1926, the National Archives Of Ireland state that this census is due for release to the public in January 2027 (though there is a possibility of early release). Only the 1901 and 1911 Irish censuses are still fully intact and are searchable for free online at the National Archives website, along with fragments of the 1821 to 1851 censuses . The 1821 to 1851 censuses were mostly destroyed in a fire at the Public Records Office in Dublin at the start of the Civil War, some fragments remain and are searchable at the link above. The 1861 and 1871 Irish censuses were destroyed not long after they were taken. The 1881 and 1891 censuses for Ireland were pulped during World War I.